Longtime Drum Corps International event staff volunteer Dan Omilianowski passed away Monday at the age of 72. A resident of Middleton, Wis., Omilianowski held a PhD in biochemistry and worked for the University of Wisconsin Biophysics Department and the State Lab of Hygiene from the early 1970s until retiring in 2005. Since the mid-1980s, Omilianowski and his wife Pat have been active volunteers in the drum corps activity. During the summertime, they'd be found at events around the country lending a hand wherever was needed to ensure that competitions ran smoothly for all of the performing ensembles. "Dan was a quiet guy and a great team player who would always pitch in and do what was best for the group when working with our staff," Drum Corps International Event Manager Dale Antoine said. "He was a bit older then many of the other DCI staff members, but that never stopped him from jumping up in the back of a truck at the end of a show to help load it up. There were several times that I'd have to tell him to get the heck out of there to let someone else do the work. Sometimes he would listen, and sometimes he just kept going! "Dan and Pat made a great team working the local drum corps shows together. They truly cared about the important things—the kids." In addition to his work with Drum Corps International, Omilianowski was an active supporter of the Madison Scouts. His son Andy was a member of the corps' cymbal section and he previously served as a member of the organization's board of directors. Visitation will be held Friday, Jan. 11 from 5 to 8 p.m. CT at Our Lady Queen of Peace Catholic Church (401 S. Owen Drive) in Madison, Wis. A service will take place Saturday, Jan. 12 beginning at 11 a.m. In lieu of flowers, contributions can be made in Omilianowski's name to the Catholic Multicultural Center at Our Lady Queen of Peace. 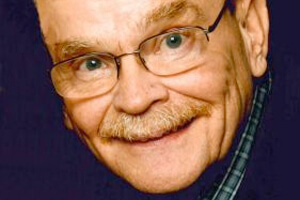 Read Dan Omilianowski's obituary.